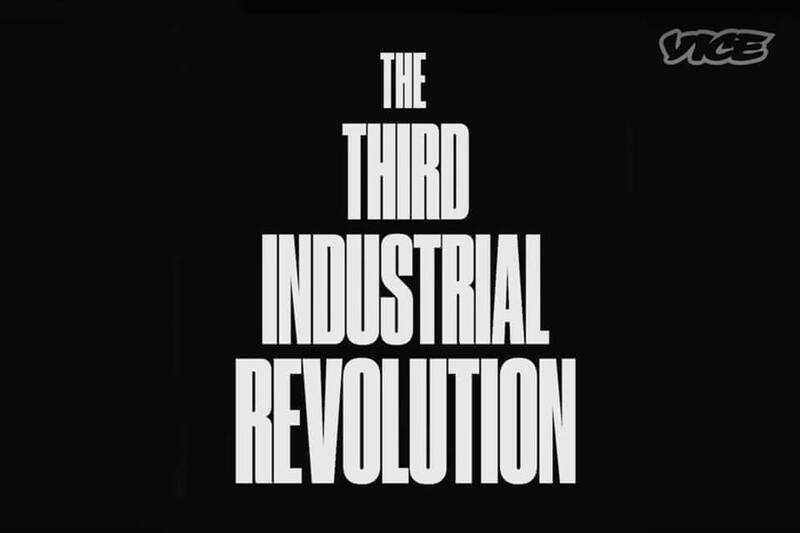 I was forwarded an fascinating talk by social and economic theorist Jeremy Rifkin where he set-out his vision for the ‘Third Industrial Revolution’ and what a compelling vision it is. I’m a little ashamed to say his talk was published by SBS Vice back in Feb last year and I was about the 3,179,001st person to watch it, but better to be late on the future train than miss it all together. By way of overview, the 1hr40 doco is set on the very present and very real premise that; ‘The global economy is in crisis. The exponential exhaustion of natural resources, declining productivity, slow growth, rising unemployment, and steep inequality, forces us to rethink our economic models.’ Rifkin asks the question; “Where do we go from here?” and goes on to lay out an insightful, compelling and inspiring road map to usher in a new economic system. What’s uniquely compelling about Rifkiun’s vision of the Third Industrial Revolution is that contained within is a solution to so many of the challenges the world is facing. Unlike the previous Industrial Revolutions where the power and financial rewards were centralized to a few very wealthy and very powerful individuals/companies, the Third revolution with be de-centralized. This revolution is a radical new version of the sharing economy. It will be owned by the people of the world, will benefit all the people of the world and gifts the millennial generation the opportunity to be the saviors of our planet and society. Rifkin has been working with the German Government for around a decade, the European Union for several years and now the Chinese Government. These world leaders have signed-up to Rifkin’s vision and are working together to be the leaders of this next Industrial Revolution. The US, UK, Canadian and Australian Governments are way behind in understanding the role we should be playing. In previous industrial revolutions, those countries who failed to play a meaningful role were quite simply left behind. What does this mean for brands and branding agencies? In a fast changing landscape where the most powerful brands are those who truly provide shared value to the benefit of the community and society they operate in as well as their shareholders, brands who join the revolution to be at one with their community rather than to profit from it will be rewarded for their leadership. This is possibly the greatest opportunity placed in front of forward thinking brands in the last two decades. I rarely recommend an hour and forty minutes of watching anything, but I was so inspired by Rifkin’s vision that I feel duty bound to play my role in seeing if we can’t start something of a movement together. I hope you find this as inspiring as I have.